From its first shock waves in 2008, the Great Recession has been reshaping American cities. Detroit collapsed, and the ongoing national rollback in industry has meant the death of factory towns like Greensboro, North Carolina and Reading, Pennsylvania. But the effects of the crash have been far from uniform. The populations of gentrifying cities such as San Francisco and Brooklyn continue to expand, with rents soaring and neighborhood demographics changing overnight. Providence, Rhode Island is experiencing a civic renaissance that disguises lingering corruption in its political system. The two hundred citizens of Whittier, Alaska, have been approached about starring in a reality TV show. And racial profiling by police in cities like Cincinnati, Palm Coast, and Baltimore has set the stage for protests that have swept the nation. 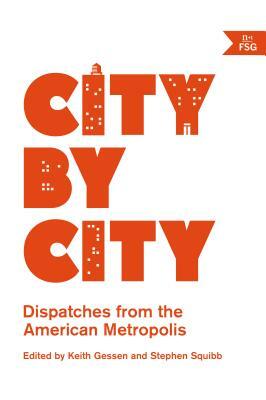 City by City, edited by Keith Gessen and Stephen Squibb, is a collection of essays from a new generation of writers working to document the places they call home. With the specificity of Studs Terkel and the humor of Hunter S. Thompson, they capture the forces-gentrification, underemployment, politics, culture, and crime-that are changing the lives of their neighborhoods, their neighbors, and themselves. Keith Gessen is a founding editor of n+1 and the author of A Terrible Country, All the Sad Young Literary Men, as well as the editor of Diary of a Very Bad Year: Confessions of an Anonymous Hedge Fund Manager and Kirill Medvedev's It's No Good: Poems, Essays, Manifestoes. Stephen Squibb is a graduate student in English at Harvard University. His writing has appeared in Artforum and e-flux journal.